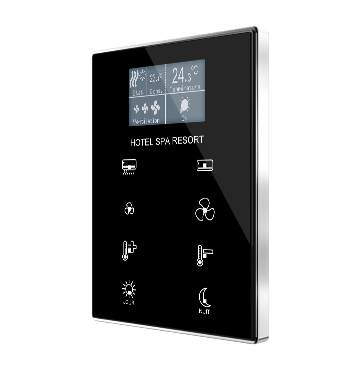 TMD-Display is a totally customizable room controller that will cause the desired aesthetic impression in any ambience. 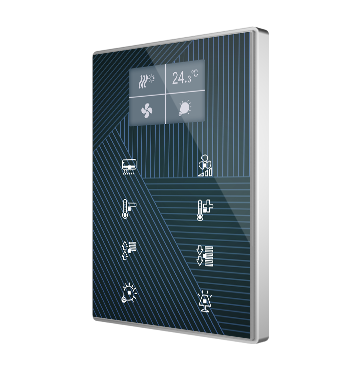 Everyone can create unique compositions, which could include images, icons, texts or logos. 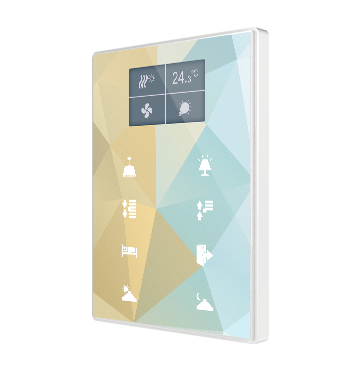 This customization is printed on a high-strength tempered glass, with an anodized aluminium frame to finish off the author’s work. 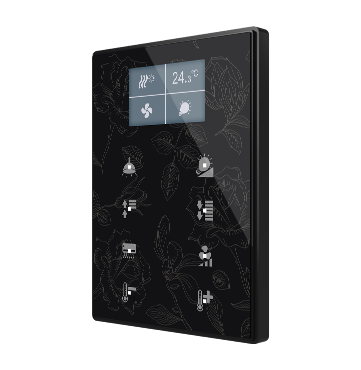 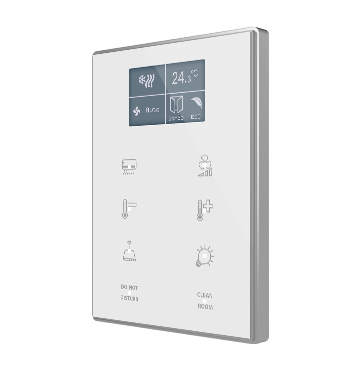 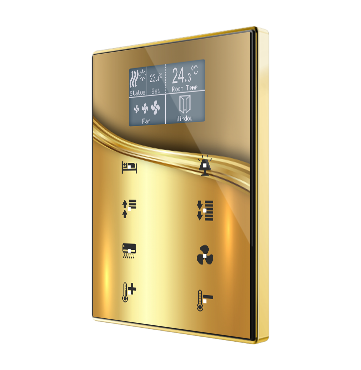 TMD-Display is able to manage climate, audio, shutters, lights… and all through an intuitive and modern touch panel with 8 buttons. 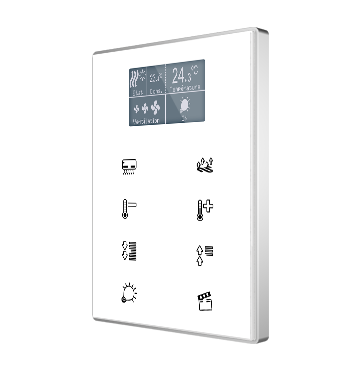 TMD-Display also includes thermostat function, internal temperature probe, 2 analog/digital inputs.